Beautifully presented stone built property with parking, gardens and stunning views. 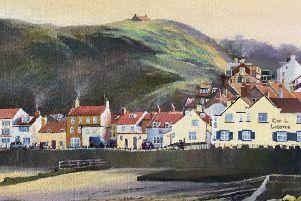 Situated in the centre of the pretty village of Low Hawsker approximately three miles south east of Whitby. There are local amenities approximately one mile away including supermarkets and petrol station and the historic fishing village of Robin Hood’s Bay is a short drive away. Hawsker benefits from having a primary school and public house and has a real community feel. A delightful location for permanent living or a holiday retreat. This elegant property has been refurbished throughout and offers bright and sunny accommodation on all floors. The flexible accommodation could provide living space for an elderly relative or teenager, having a bedroom, sitting room and shower room situated off the main hall. There is a fabulous open plan lounge/dining room, separate kitchen and wonderful conservatory overlooking the mature well manicured gardens to the rear. Outside there is a pretty summer house, garden shed and large timber building. All this with stunning rural and sea views! Contact Bridgfords on 01947 603433 for more details.